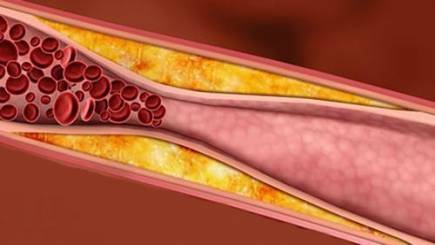 New analysis shows that in a high-risk population, achieving ultra-low LDL cholesterol levels, down to The Lancet. “Our findings demonstrate that there is essentially no floor effect, and that lower levels translated to a greater reduction in risk. Among high-risk patients, achieving a LDL cholesterol level far below the most common treatment target of 70 mg/dL (1.8 mmol/L) can further reduce the risk for an adverse cardiovascular event, with no major safety concerns,” said Robert P. Giugliano, MD, a senior investigator in the TIMI Study Group at Brigham and Women’s Hospital and a cardiovascular physician who presented the data at ESC. “Given the previous results from the FOURIER trial and the findings from this new analysis, patients – particularly those at a high risk for future cardiovascular events – should review their LDL cholesterol with their physicians and discuss whether it could be beneficial to lower that level beyond what they have achieved with diet, lifestyle modifications and statin therapy,” said Giugliano. Evolocumab is a fully human monoclonal antibody manufactured by Amgen that works by blocking proprotein convertase subtilisin-kexin 9 (PCSK9), a protein that reduces the liver’s ability to remove LDL cholesterol from the blood. The drug, which costs approximately $14,000 annually, was approved for use in the United States in 2016 as an addition to statin therapy and lifestyle changes for lowering LDL cholesterol in some adults with cardiovascular disease.